The British Columbia Institute of Technology (BCIT) unveils an eye-catching new identity and brand platform designed to help elevate the school’s status as a place that best equips its students with everything they need for a complex world. The new brand platform, titled For a Complex World and developed by Twice, which itself recently rebranded from Karacters Design Group, marks the first array of work in-market since the Burnaby, BC-based school and the specialized brand consultancy came together in September 2016. 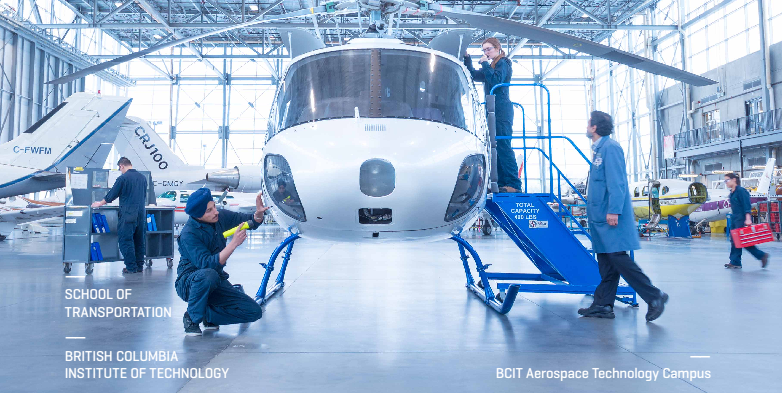 BCIT’s new brand conviction positions the school as the best learning ground for future experts who can provide solutions in an increasingly complex world. The platform includes a vibrant new blue and yellow colour palette, new typography, a striking graphic device, as well as constructs designed for both general brand, as well as program and school-specific awareness. Bateman adds: “These are dynamic, high-tech areas areas of study and they contribute massively to how our economy and the world functions. ‘BCIT for a complex world’ communicates that the institute equips graduates to meet and conquer the complex challenges we face today and will face in the future. It imparts the BCIT reason for being and elevates the brand." The new identity rolls out immediately and will appear in print, radio and online advertising, as well as online videos promoting the school.